Although Gumbi Gumbi (aka. 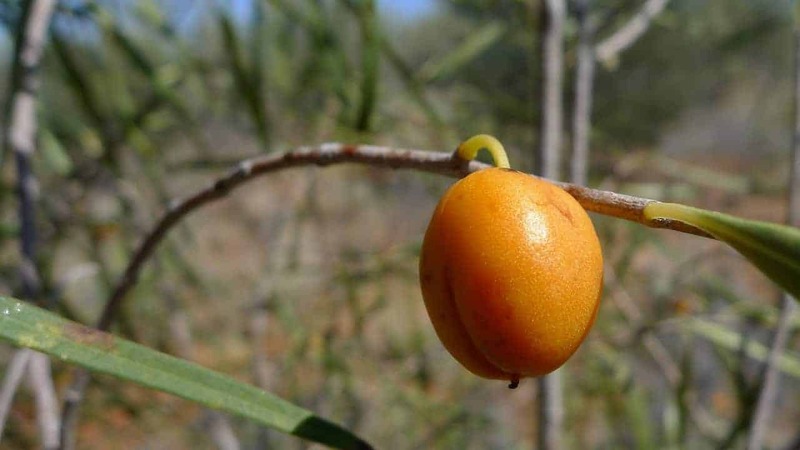 Western Pittosporum, Berrigan, Bitter Bush, Cattle Bush, Cheesewood, Native Willow) is also called a Native Apricot, its fruit isn’t considered a food source. Instead, the plant featured widely in Aboriginal bush medicine as a treatment for coughs, colds and eczema, and to induce lactation. This drought-hardy tree is widespread throughout inland Australia, spanning across most states from southern WA to coastal QLD, but tends to occur in isolation or low numbers. Simply pluck fresh leaves as needed, or harvest a bigger batch and dry them for later use. Gumbi Gumbi is an evergreen species that can supply you with leaves throughout the year. Gumbi Gumbi is resistant to both drought and frost, and grows in a wide variety of soil types, from heavy clay to mostly sand. But for best results in a home garden, choose a well-drained loamy soil or potting mix, located in full sun, and water well throughout the dry season. This species is capable of growing up to 6m in height, but as it’s a slow grower, you’ll find it suitable enough for small backyards and large pots. With its hanging branches and thin, willowy leaves, it makes an attractive addition to any native garden or balcony. Does Gumbi Gumbi really cure cancer? Gumbi Gumbi refers to several varieties of Pittosporum, not all of which may be beneficial or safe to consume. Though some varieties of Gumbi Gumbi may contain compounds that have antibacterial, antioxidant and other beneficial properties (like other types of ‘healthy’ tea), there is currently no hard scientific evidence of Gumbi Gumbi having an effect on cancer. Do I need to mulch around my Gumbi Gumbi tree? Though Gumbi Gumbi tolerates drought well, we generally recommend mulching before summer to reduce water wastage and help your plants retain moisture. In late Spring, water the ground well and spread an even layer of mulch across the top. Can I grow Gumbi Gumbi a cold area? Yes, within reason. Gumbi Gumbi tolerates frosts in the 0°-5°C range. If your area is susceptible to heavy or prolonged frosts, consider growing this bush tucker tree in a hothouse or indoors in a large pot when young.